← My Weird Indie Publishing Project: METADATA! The book cover is part of the metadata that helps readers find your book. It’s what they see when they type in their keywords searching for books on their topic. Importance? HUGE! 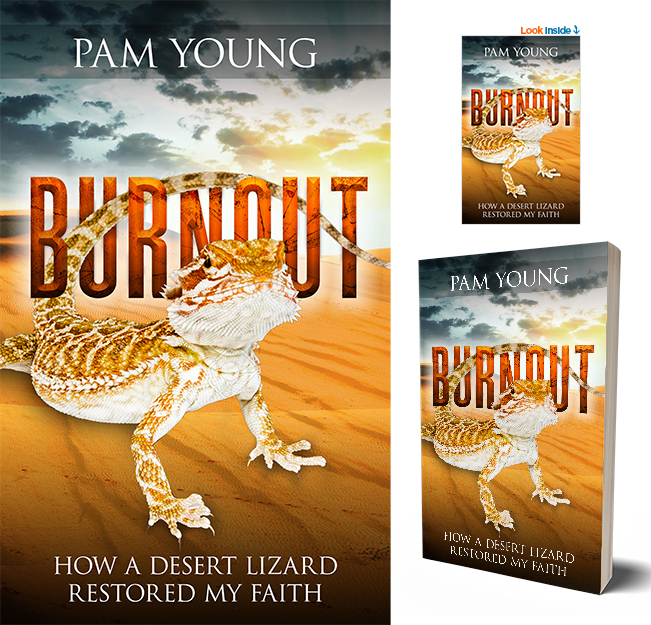 BURNOUT– How a desert lizard restored my faith is a personal memoir about the madness I experienced with extreme burnout and how camping with Indian shamans in Mexico renewed my commitment to life. Please help me identify which of these two works best. TOP one? or Bottom one? Next: About the LAUNCH… What is it? Why must we do it? How can I help? This entry was posted in eBooks, search for meaning, writing. Bookmark the permalink. Thanks for your excellent artistic perspective, Joey! I have to tell the artist soon (preferably today) and have been torn between following the poll results and acting on my first impression — to choose te first one with the tail woven through the word. Popular vote on Facebook was for the other one. 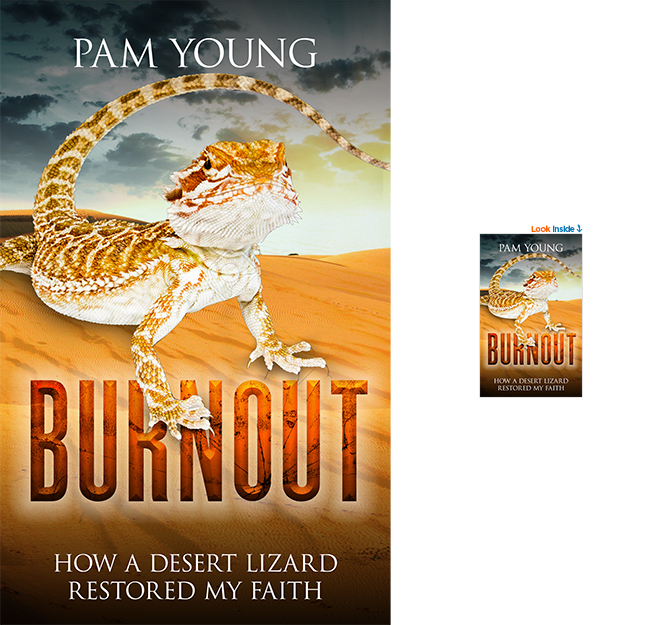 Commenters pointed out the lizard foot stamping out burnout and the tail underlining my name. Now I must consider the issue again! Yikes!